I recommend checking your expectations before starting this, forget your preconceptions. You need to go into this with an open mind in order to avoid missing important details. You’ll miss the story’s blooming, so to speak and the next thing you know the petals are falling. This book is not for everyone. You need to know this going in. There are triggers here, big ones. If it’s dark and/or disturbing, it’s most likely here, folks. Just consider yourself warned. It’s also quite lovely at the same time. Laney’s drug addiction starts off as excessive and only becomes more serious from there. The drug abuse isn’t glorified, however. Yes, a teenager is losing her way in life and is taking a ton of drugs, blah, blah, blah. BUT, we see the destruction constantly left in its wake, in her wake. We see why self-medication is not the answer. We feel life through the eyes of someone too far gone and it isn’t pretty. It’s ugly, lonely, and untrustworthy. The drugs fuel her vengeance, acting as faux courage, false righteousness. Of course she can get even with the world. Duh! The other major component deals with Laney’s sexuality. Laney struggles with who she is and how she feels and is often punished and ostracized by others because of it. Who she is attracted to and who she falls in love with become far too important to these people, who exist far outside her personal bubble, and she suffers because of it. Wouldn’t that make you question some things? Am I okay? Is this okay? Maybe I should try to change. Maybe I’m disgusting like “they” say. Maybe there’s something wrong with me. Laney begins to believe she is damaged and grabs that bull by the horns. Laney is in high school, comes from an unstable family, and has zero support with the exception of her younger brother. How is one expected to stay strong without a strong foundation? Without support and love? A wall is bound to crack, and boy does it ever! Her mind is a dark and twisted place to be and the reader is right there, along for the ride. She feels vindicated in her actions, makes excuses for her behavior. But some things just can’t be justified. Some things go too far. Black Iris has a very “film noir” feel to it. There are no hearts and flowers here. Ever. There is destruction, devastation, revenge, betrayal, and sadness. There is beauty hidden deep, almost swept under the rug waiting for the patient reader to find it. 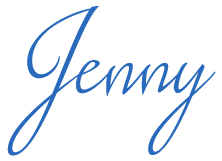 The writing is very lyrical, often quoting poets and mimicking poetry and classic literature in the way the words flow and scenes and objects are described. I HIGHLY recommend not taking a break during this book because the story jumps in time a lot and I found myself struggling when I finally had time to pick it back up. I ended up forgetting about little nuances I had picked up on in the first part I read and it made a few things challenging but not impossible. This is not a light read but a great read nonetheless. 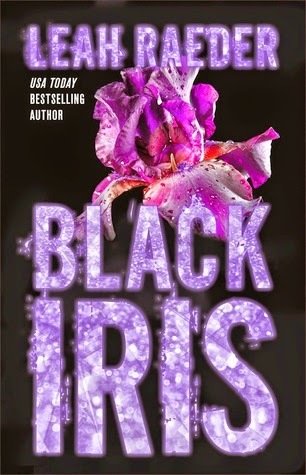 If you’re looking for something challenging and beautiful as well as a break from the norm, pick up Black Iris.